Jonathan De La Cruz remembers learning to play the trumpet in a Pentecostal church in Mexico. De La Cruz, who grew up in Eagle Pass, Texas, said his family crossed the Rio Grande by bridge multiple times per week in order to attend services at their church. 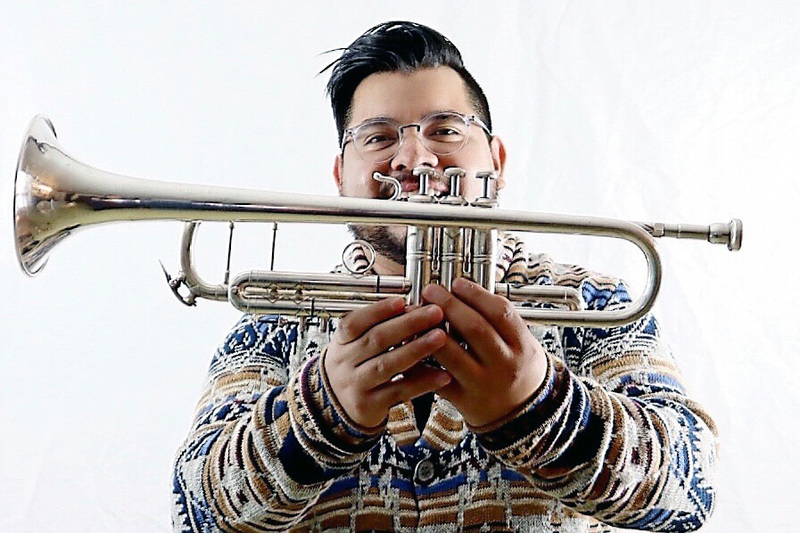 De La Cruz played the trumpet in church from seventh grade through high school. He said his skills dramatically increased through this experience. De La Cruz went on to join his high school band where he was invited to join the band director in a professional tejano music group. De La Cruz said his first travelling gig with this band was both exciting and terrifying since he was only 15 and had never left home before. After high school De La Cruz went to Texas A&M University-Kingsville, where he studied music education and played in the marching band. After graduation, De La Cruz was invited to play a high-profile gig at the Selena Festival with Chris Pérez, the famous guitarist and husband of the late Selena Quintanilla. In 2016 De La Cruz was accepted into a master’s program at the Jacob’s School of Music in Bloomington, Indiana. 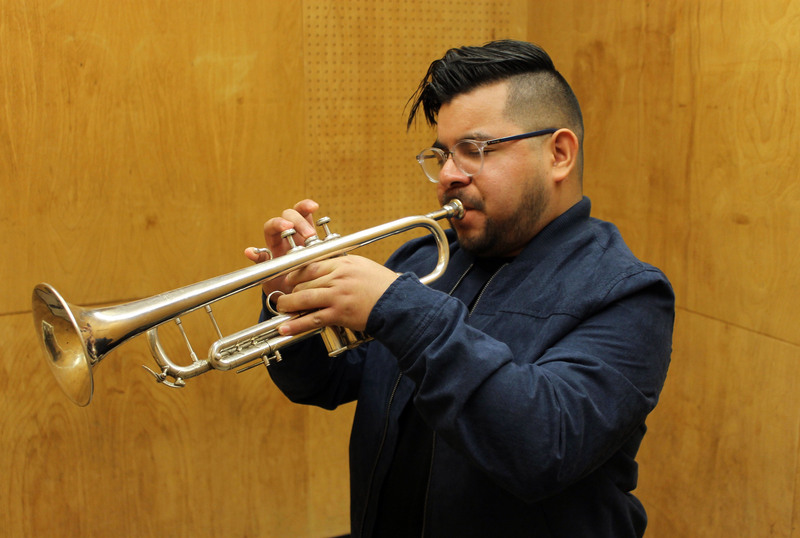 De La Cruz was excited because he was selected to be in the top jazz performance band at IU, but when he arrived in Bloomington something happened that was not so exciting. Under the guidance of IU music professor Pat Harbison, De La Cruz began using a new mouthpiece for his trumpet. In order to adjust to the new mouthpiece, De La Cruz had to change his embouchure, the way he held the trumpet to his lips. De La Cruz said the transition was a grueling process. De La Cruz met with Harbison for six hours per week to practice playing notes with the new mouthpiece. De La Cruz said it was difficult in the beginning to even play just one note. Although the new mouthpiece required De La Cruz to change his embouchure, Harbison said he is typically wary of telling students they need to make an embouchure change. Harbison said De La Cruz is very thoughtful and had to work through his tendency to overthink his transition to a new mouthpiece. Harbison said the results of De La Cruz’s transition are fantastic and De La Cruz agrees.